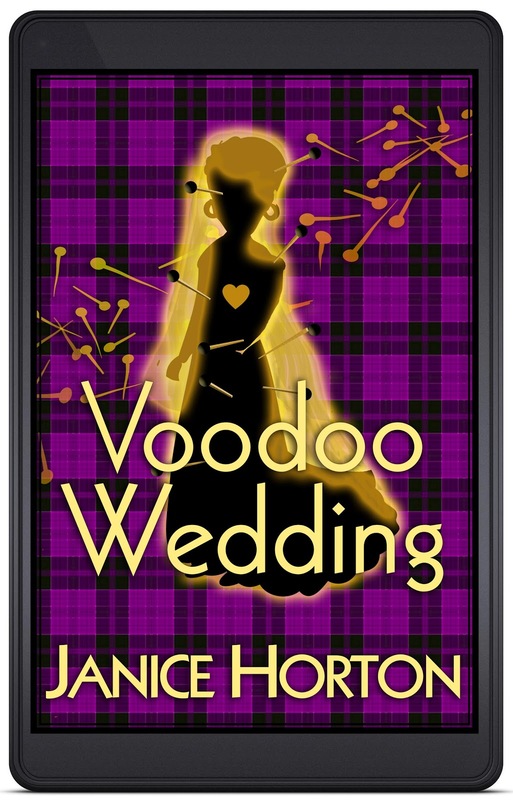 This week I’m excited to show you the cover of my soon to be released new novella: - Voodoo Wedding! Loved up Scottish fashion model Nola and her handsome Haitian fiancé Louis have finally set the date for their wedding. All they need now is a venue and a guest list to include something old, something new, something borrowed… and something voodoo! 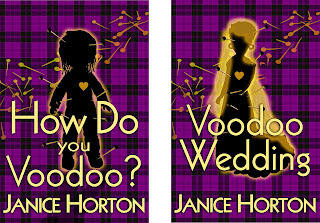 Voodoo Wedding is the second part in a Voodoo Romance Trilogy. The first book is the Amazon bestselling How Do You Voodoo? Here are the two covers together! The final part of the trilogy ‘Voodoo Child’ will be available later this year! 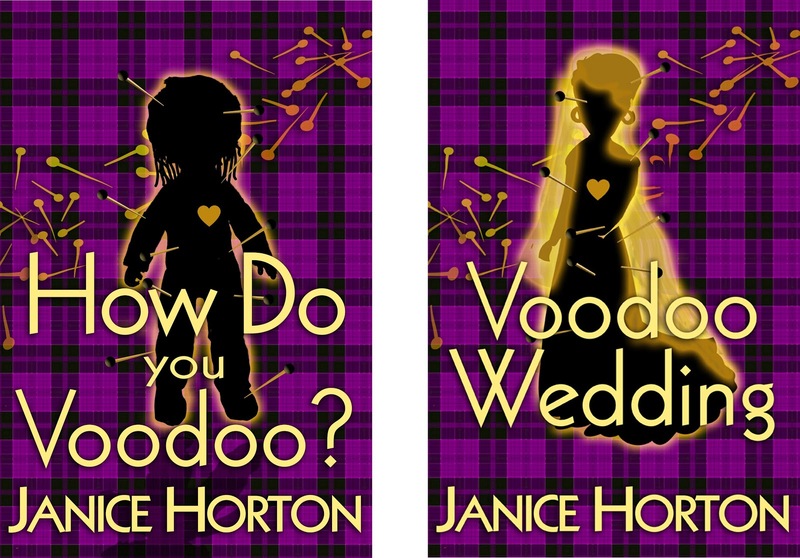 Over at Brook Cottage Books Blog - JB is 'unveiling' the cover of Voodoo Wedding too - ahead of launch day on 1st March - and on Sunday 17th February she is posting her review of How Do You Voodoo! 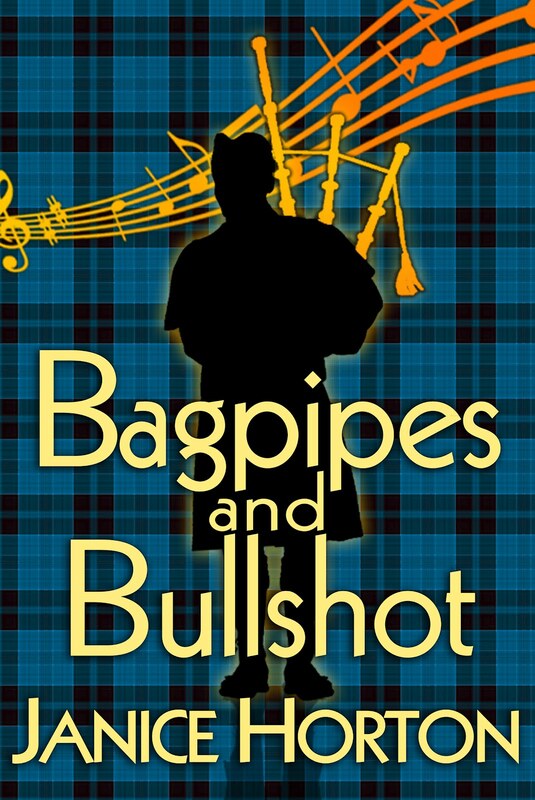 While we are on the subject of covers, the cover of my full length novel ‘Bagpipes & Bullshot’ has just been nominated in the Indie Cover Hall of Fame competition. I’d love you to pop over there and vote for your favourite Indie cover – there’s no messy voting protocol – you just pick a cover design that you like the best and hit the vote button. 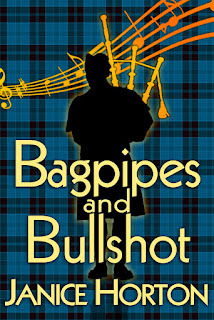 This is the cover of Bagpipes & Bullshot and of course I’d be thrilled if you voted for it! Next week - we'll be planning the launch party for Voodoo Wedding. Love it Janice! It looks fab and what a pretty set they're going to be! Love Voodoo Wedding's cover and B&B. Speaking of B&B have already been over and voted for you. Voted! Good luck! Love all the covers here. Ooh... feeling a spooky moment coming on ... fab cover. Counting down! Thank you so much. And thanks for the votes on the Bagpipes & Bullshot cover. The designer of my covers is the fabulous JT Lindroos and I've alerted him that the cover is currently being voted on. 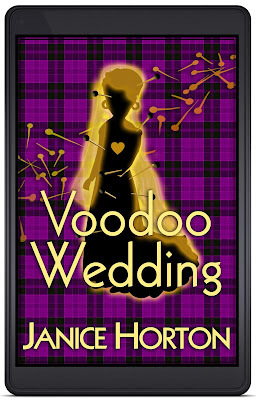 I'm thrilled with the Voodoo Wedding cover and hope readers enjoy reading the story as much as I enjoyed writing it! You'll see from my Author Facebook page entry today that over at Brook Cottage Books Blog - the wonderful book blogger JB is 'unveiling' the Voodoo Wedding cover too - ahead of the launch on 1st March. Also, tomorrow she is posting her review of How Do You Voodoo? Do pop over if you get a minute to take a look at Brook Cottage Book Blog. Wonderful cover! I look forward to reading. I love these covers, they're fabulous. Another great cover, Janice - look forward to publication of the new one!